When I work, I think - is not enough just to implement use case, final solution must have good performance and run without side effects. I will give you today one more example and technical hint, to prove such thinking is important. 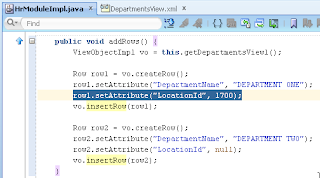 This time I will use example of programmatic insert, when newly inserted row contains attribute with LOV mapping. From LOV validation point of view this is logical and correct. But if we are performing bulk inserts and we know that attribute value always will be correct - there is no need to call LOV validation for each row. 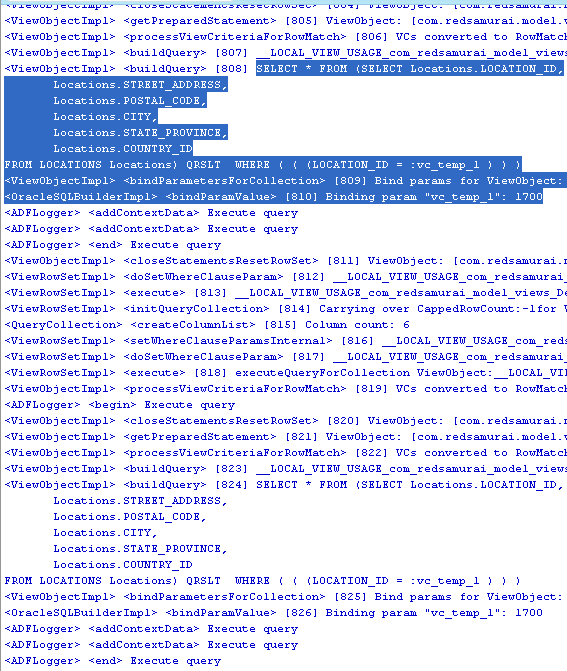 In such case I would recommend to use another VO, without LOV's defined - use it to do bulk insert and then re-execute VO with LOV's to display latest data on the UI. and again a very useful entry. 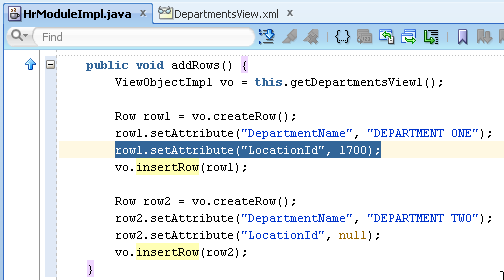 I checked never the SQL-Staement for new created row with a LOV-Attribute. Now I will check though. Do not reduce performance if add another VO ? Not at all - number of VO's doesnt affect performance. Idea is to use plain VO, without LOV's for faster bulk insert. I've exact same issue. I've a set of cascading LOVs. But the problem is all the attributes are in a transient VO. 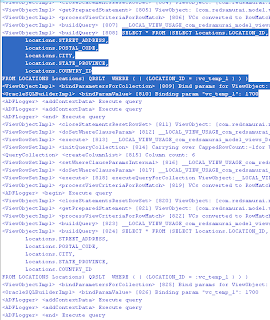 And I use this as bindings on a page. Any way to avoid LOV validation when programmatically setting values. Thanks a lot, Andrejus. Worked like a charm!